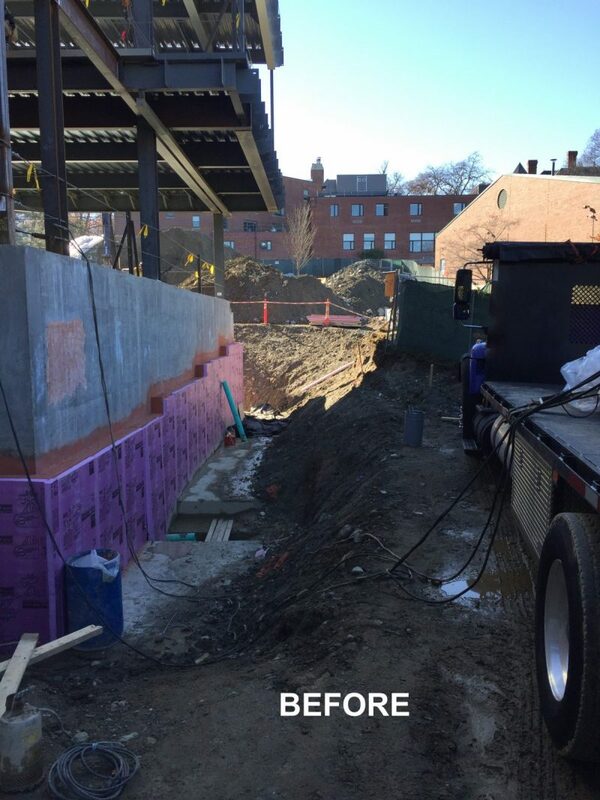 This project required many retaining walls around the brand new Academic Center building. A custom stone type was specifically sourced to match existing stonework. Walls feature granite caps and exposed mortar joints.